Joyce Banda the Vice President to the now deceased president of Malawi Mutharika has now taken over the day to day running of Malawi. The move came when the Malawian government confirmed that the President Mutharika who is 78 years old died truly as fears of a succession struggle receded as state institutions backed the constitutional handover. According to Reuters, his body was flown to a military hospital in South Africa as Medical sources said Mutharika’s body was flown to South Africa because Malawi’s energy crisis was so severe the Lilongwe state hospital would have been unable to conduct a proper autopsy or even keep his body refrigerated. An impending political crisis was perceived before the delayed announcement came as there had been before now political rancour between the dead president and Banda which led to her being expelled from the DPP ruling party in 2010. The vice president who at a news conference held at the capital of Malawi declared 10-day mourning for the dead president will be emerging as the first female president of Malawi as she ordered national flags to be flown at half-mast and the state broadcaster to play sombre music. 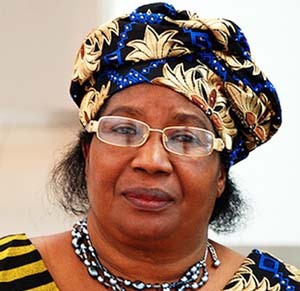 Joyce Hilda Banda is 61 year old Malawian educator, grassroots gender rights activist turned politician became Vice-President of Malawi since May 2009, and previously she was Minister of Foreign Affairs from 2006 to 2009. She was also Member of Parliament and Minister for Gender, Children’s Affairs and Community Services. Prior to an active career in politics she was the founder of the Joyce Banda Foundation, founder of the National Association of Business Women (NABW), Young Women Leaders Network and the Hunger Project. She was listed in Forbes Magazine 2011 as the third most powerful woman in Africa. She is the founder and leader of the People’s Party created in 2011, and was considered likely to contest to become President of Malawi in the 2014 general election prior to Bingu wa Mutharika’s death. The Country’s cabinet stood behind the constitution to play out the whole drama on who to succeed Mutharika as the Southern African country went calm as little public sorrow was spotted because the dead president had lost the confidence of Malawians in the few years becoming an autocrat who was responsible for the economic woes in presently plaguing the country. Banda ran as the vice-presidential candidate of the Democratic Progressive Party (DPP) in the May 2009 presidential election, running alongside Mutharika, the DPP presidential candidate. She is currently serving as Malawi’s first female vice-president. In a surprise move by the DPP, Joyce Banda and second vice president Khumbo Kachali were fired as the vice Presidents of the DPP on 12 December 2010 for undefined ‘anti-party’ activities. In attempts to ostracize her, the president has continued to give roles that were previously held by her in her to Callista Mutharika who was included in the cabinet in September 2011. The court has blocked attempts by Bingu wa Mutharika to fire her as Vice-President on constitutional grounds. This includes attempts to cease her official government vehicle and to block her from registering her new party. On September 8, 2011, the role of Vice President was left out in a cabinet reshuffle. She is currently still the legal Vice-President of the country as mandated by the constitution. She was urged by DPP spokesman Hetherwick Ntaba to resign as Vice-President.